MINMAX is proud to announce the new 2 Watt MSCWI02 & 3 Watt MSCWI03 families of Isolated DC-DC Converters with ultra-wide input ranges in the ultra-compact 14 pin surface mount package measuring only 19 x 14.9 x 8.7mm (0.75 x 0.59 x 0.33”)” with Remote On/Off Control. This level of integration offers system designers the opportunity to reduce overall PCB layout area or add more features into existing PCB profiles. 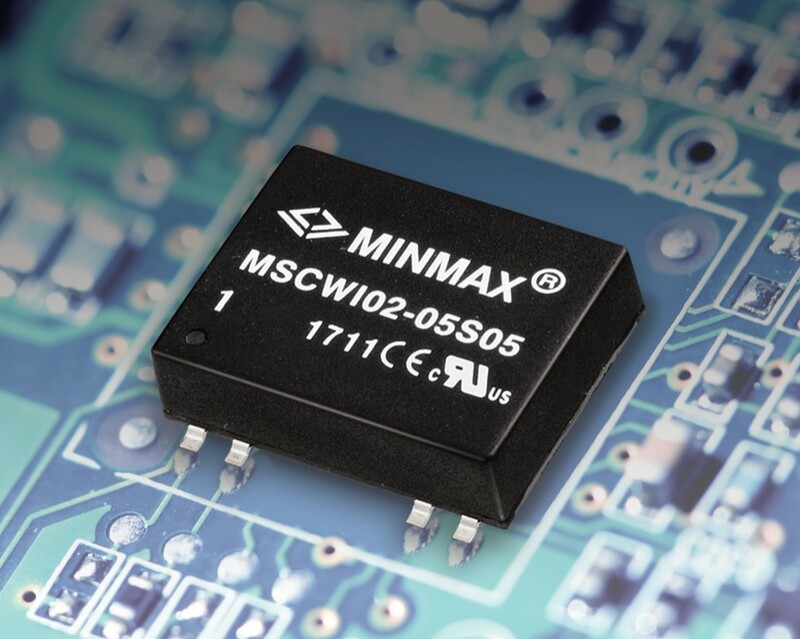 Each MSCWI family of dc-dc converters consists of 18 models offering 4.5~12 | 9-36 | 18-75 VDC input ranges with single output models ranging 5~24 VDC and dual output models ±12V or ±15V. All models feature: I/O Isolation of 1500VDC; high efficiency up to 85%; ambient operating temperature range of -40°C to +80°C (with derating > 65°C for 3Watt); fast start-up time, tightly regulated outputs; no minimum load requirement; very low no-load power consumption (none with remote on/off); built-in Class A EMI filter; and under-voltage / overload / short-circuit protection. All models have been qualified for Lead-free Reflow Solder Process According to IPC/JEDEC J-STD-020D.1 and safety qualified to UL/cUL/IEC/EN 62368-1 (60950-1) and bear the CE Mark. All products are Reach, RoHS, Hazardous Substance Process Management (IECQ QC 080000) and Conflict Mineral Free compliant and supported by a 3 Year Warranty.